Lass wi a Pairl Ear-ring (Dutch: Meisje met de parel) is an ile pentin bi 17t-century Dutch penter Johannes Vermeer. 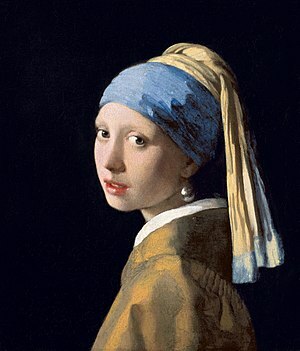 ↑ Girl with a Pearl Earring, Mauritshuis. Retrieved on 8 December 2014. ↑ (in Dutch) Meisje met de parel, Mauritshuis. Retrieved on 8 December 2014. This page wis last eeditit on 6 Apryle 2016, at 20:51.